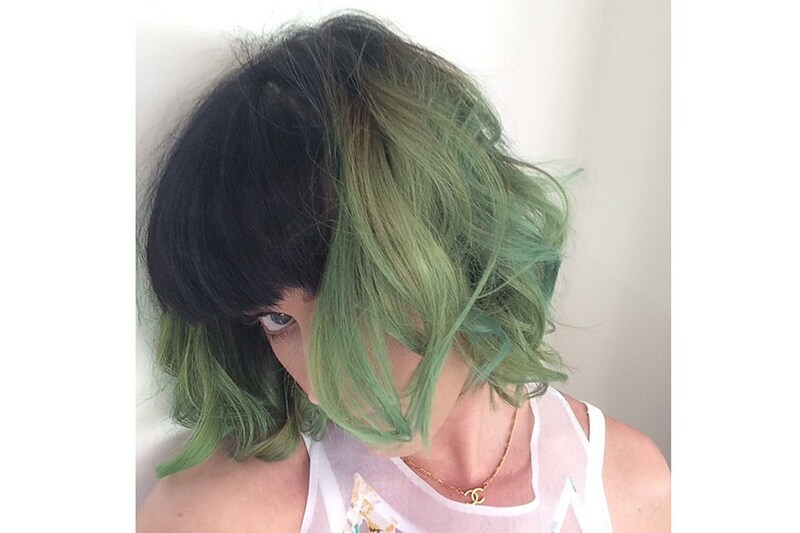 Katy Perry has turned heads with her new green locks, showing off on Instagram "SLIME GREEN FOR SPRING" though she hasn't dyed her full head green, instead she has kept her roots, fringe and even some under layers dark making this look much more subtle. I kind of like it, after all she is my favourite celebrity so I would never speak against her or her hair, I do think it suits her and it's easy to get used to her with funny coloured hair when we've seen her with every spectrum of the rainbow on her head whether it's dyed or a wig! Safe to say green is a popular colour for those who want to be different, whether it's a minty green, pastel, slime or whatever other type of green there is! I would love to know your opinions regarding green locks, maybe you even have green hair?! Let me know in the comments!